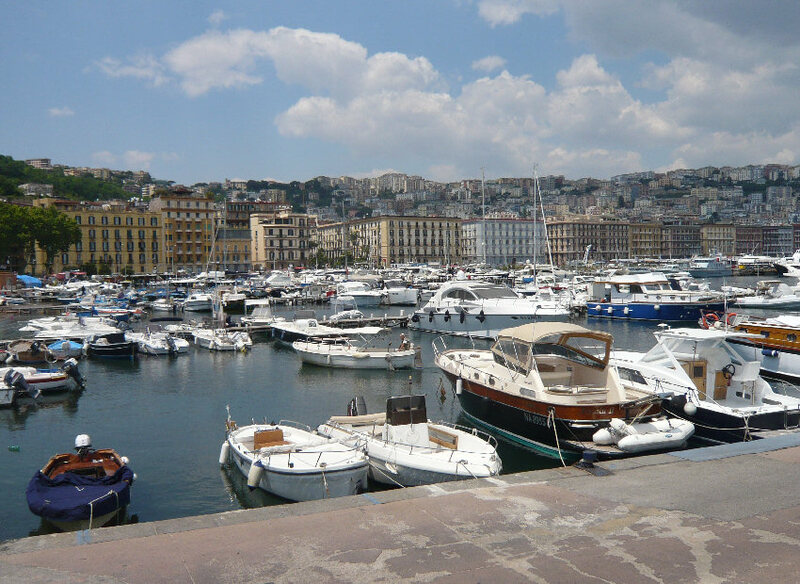 In the following article we are going to look at how to get to the ports of Naples. There are 4 ports in Naples. The most popular ones are Molo Beverello and Calata Porta di Massa that are situated close to each other. The majority of ferries leave from these ports of Naples to Ischia, for example. Other two ports are Mergellina and Porto di Pozzuoli. 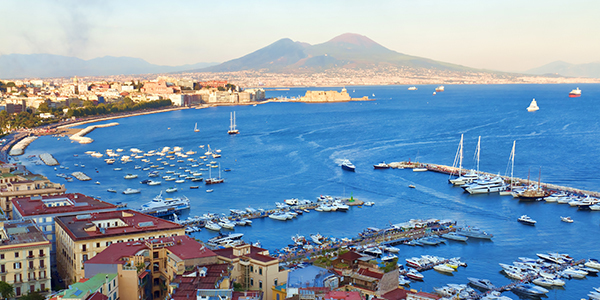 These ports have the biggest passanger traffic in Naples. 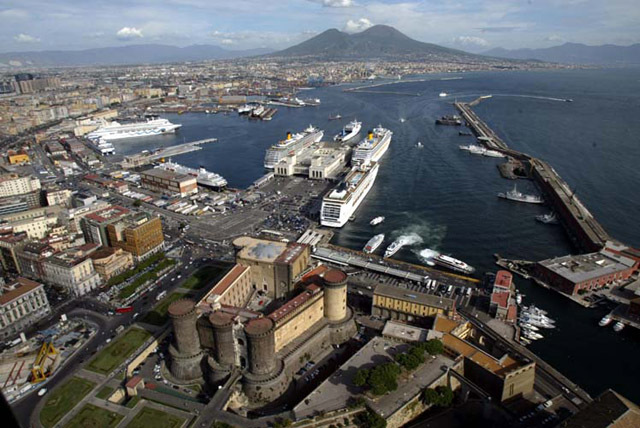 Molo Beverello is considered to be the one of the biggest port in the Mediterranean and the biggest one in Naples. To Ischia from Beverello leave only hydrofoils. From Calata Porta di Massa only ferries. The free bus connects daily Beverello and Calata Porta di Massa. The most convenient way to reach these ports is by bus Alibus.The bus also stops at the Central Train Station of Naples — Napoli Centrale. Tickets can be bought on bus and in the ticket office in the airport. Buses leave with the interval of 20 minutes. Average journey time is 40 min. The bus stop at the Calata Porta di Massa is written on the timetable as via Marina. The bus stop at the Molo Beverello as P.zza Municipio. You should ask the driver to stop on Via Marina if you need to get off at Calata Porta di Massa. If you miss the stop and arrive at Molo Beverello , don’t worry. You can then take free bus from there back to Calata Porta di Massa. Tickets cost 3 EUROs. if you buy them in authorised point of sales and 4 EUROs if you buy them on the bus. Don’t forget to validate the ticket once you are in the bus. In order to get to the ports from the Central Train Station of Naples at Piazza Garibaldi you can take the bus of the same company Alibus. Mergellina is a small port that is mostly used for entertainment purposes and is famous amoung tourists. Some shipping companies offer hydrofoils connections to Ischia and Capri. The most convenient way to reach the port is by metro. You need to get off at the same named metro station Mergellina (line 2). The metro station is situated close to the port (around 400 meters), so you can easily reach it afterwards on foot. 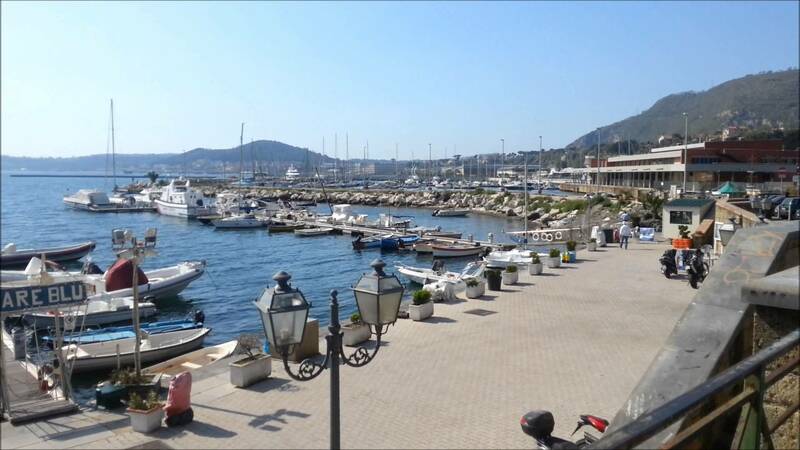 Port Pozzuoli is situated outside of Naples. It is connected directly with the main highroad Tangenziale. So it is an optimal choice for those who travel by car. In order to reach the port you need to be on the highroad Tangenziale and take the exit (Uscita 12) Pozzuoli – Via Campana. Then just follow the street signs to the port. Please note that the highroad is not at a very good condition. Be careful. Please note that to Ischia from this port leave only ferries/ital. traghetti. The average journey time from port Pozzuoli to Ischia is a little bit less than from other ports of Naples.